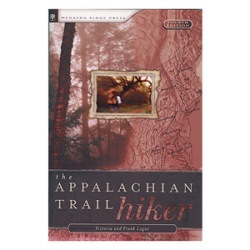 The Appalachian Trail Hiker, by Victoria and Frank Logue, 4th Edition, 2004. A fine common-sense planning guide for hiking on the AT, whether for a weekend or a thru-hike, with sage advice on equipment, clothing, boots, nutrition, water, safety, weather, animals, insects, hiking with children and more. Also has info on trail clubs and useful websites.